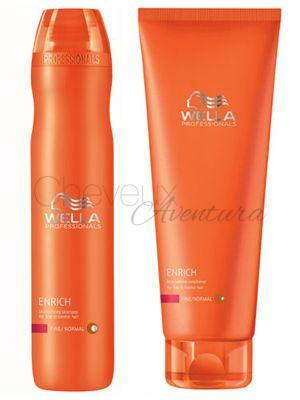 Hair conditioners were developed to change the feel and appearance of hair by adding extra moisture and sheen. Some people look for deep conditioning that works on the cortex, or center of the hair follicle, to build strength and elasticity, or rinse out conditioner to improve suppleness. But, they can leave an oily build-up that can attract dirt and make hair difficult to manage. Leave in conditioners are lighter in texture, which means they can be applied to your hair and left on during the day, without being rinsed out. Most people who prefer leave in conditioners are attracted to the fact that they use very little oils, instead, they rely on products like glycerin to make hair easier to style and softer to the touch. Some people choose the form of their leave in conditioner based on the feel it has when applied to the hair, and the dividing line tends to be people who don’t mind a heavier consistency versus those who do. Some conditioners have the texture of a light lotion and can be smoothed through the hair with a comb, while others use terms like “mayonnaise” or “custard” to describe their density. For consumers who want that “next to nothing” feel, some companies make leave in conditioner that are very close to the consistency of water, but with a slight viscous feel. Finally, there’s the spray on conditioner meant to deal with frizzy, fly-away hair on the go. Whether you have dry hair, oily hair or curly hair, you know what a challenge it can be to find a product that gives you the results you want without damaging your hair. If you have unusually oily hair, you’re probably suffering from a hormonal imbalance or aggressive sebaceous glands. A very light weight, leave in conditioner containing an oil fighting agent like tea tree oil should give you the results you want. For dry hair, you want to look for labels like “triple moisture” or “deep moisturizing”, that have a thicker consistency. If you have curly or natural hair, like many African Americans, a moisturizing leave in conditioner with a high level of protein will prevent breakage and also act as a detangler. If you color your hair, or even have it highlighted, you know how much chemical dyes can leave your hair dry and brittle. When you add to that conditioners that contain ammonia, you risk further damage and even fading. Leave in conditioners that work with color treated hair contain ingredients like sunscreen and extra protein to strengthen hair and help it retain its color. You can also take advantage of components like Horsetail and Birch to sooth your scalp from the harsh effects of chemicals found in hair dyes. Always make sure that your leave in conditioner is specifically made for color treated hair. You should also make it a point to avoid chemicals like alcohol and chlorine, both of these can cause fading.